Does your nails break and flake easily? Here's an at home DIY to keep your nails looking pretty. 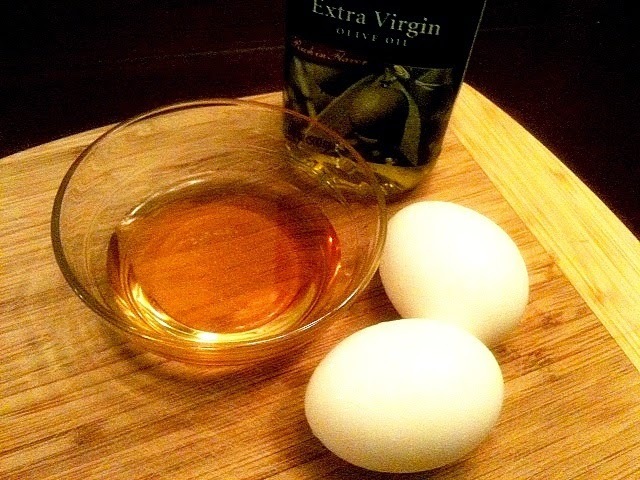 Mix 2 egg yolks with 1 teaspoon olive oil; soak nails for 5 to 10 minutes twice a week. The biotin in the egg yolk and triglycerides in olive oil penetrates the nail bed and work to nourish and strengthen nails.